This statistic shows the results of a survey on favored Black Friday purchasing channels in Sweden in 2017. 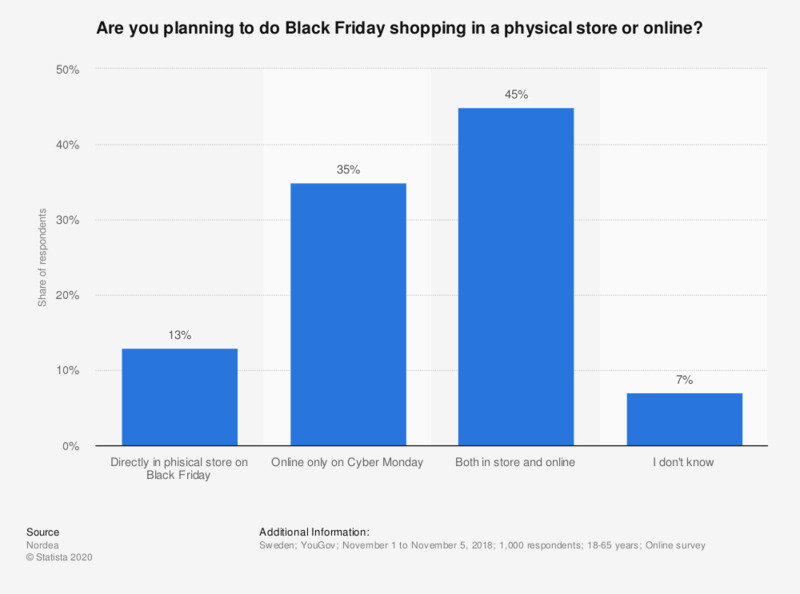 74 percent of the respondents stated that they are planning to do Black Friday purchases online. The original question was phrased by the source as follows: "Hur kommer du främst att göra inköp på Black Friday?"